Madhavi, an Indian dancer of excellence during this summer. 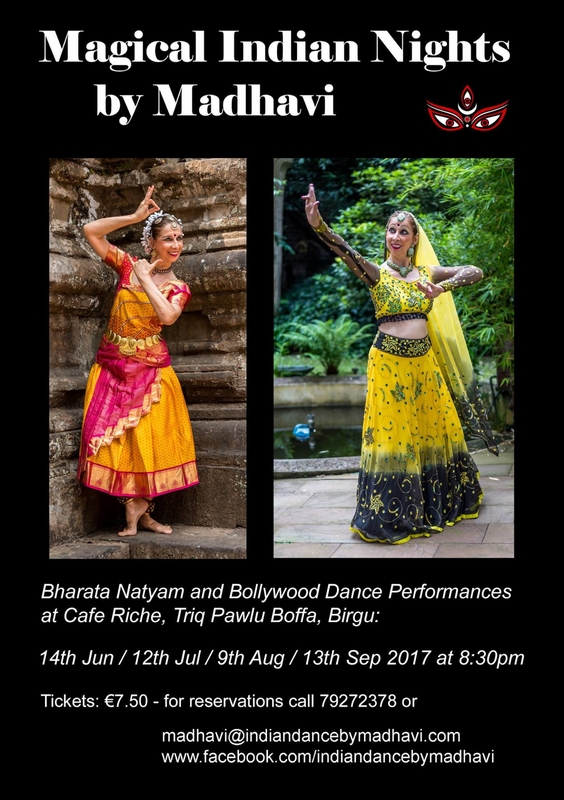 Enjoy the many facets of Indian dance in its rhythms, expressions and hand gestures of the classical Indian dance art of Bharata Natyam, as well as Bollywood dances. The colourful mixture of folk, classical and ornamental elements leaves you spellbound.